Question for yall. Windshield Chips. What is today's protocol on this. 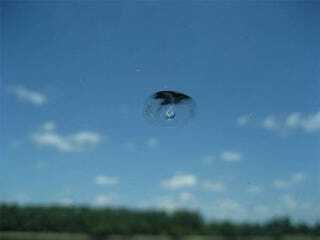 So today i just got yet another small chip in the windshield just like the one pictured. Very small, about the size of half a piece of rice. However, now there are probably 5 other small nicks just like it. So. What is out there these days to solve my problem? DIY? Professional? Is it worth it? Ive never had to do any sort of glass repairing (or preventative measures to ensure no cracking). So where does one begin?